HomeESPROS AND BENEWAKE wake robot up! ESPROS AND BENEWAKE wake robot up! BENEWAKE is to „wake robot up“. and his motivated team from BENEWAKE have impressed me from the beginning. driving. Therefore, car makers are carefully watching our development steps. to integrate EPSPROS chips into BENEWAKE LiDAR system. only as a start for a long and fruitful cooperation». 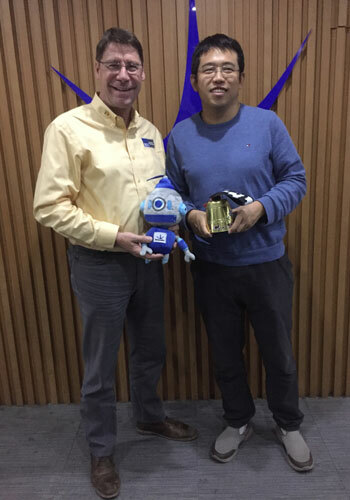 Caption picture: Beat De Coi, CEO and founder ESPROS Photonics and Yuan Li, CEO and founder BENEWAKE, in agreement for long term partnership for „waking robots up“.